You live or operate a business in the Brantford area? You have junk to get rid of? Alpine Bin Rentals provides fast and friendly dumpster rentals and waste removal services to the Brantford community. Located in southern Ontario, "Brantford, The Telephone City", is a city of approximately 93,000 residents that is well known for being the birthplace of hockey legend Wayne Gretzky and where former resident Alexander Graham Bell invented the phone in 1874 and conducted the first long distance phone call. 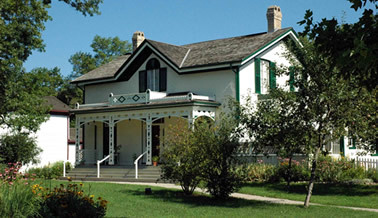 Since 1909, visitors from far and wide have been visiting the Bell Homestead National Historic Site, one of Ontario's oldest historic home museums. The Bell Homestead boasts a unique history and offers its visitors the opportunity to see a significant collection of original Bell family furnishings and household trappings. With its OLG Casino and Earl Haig Family Fun Park, Brantford also offers entertainment for the whole family.